ANTANANARIVO. 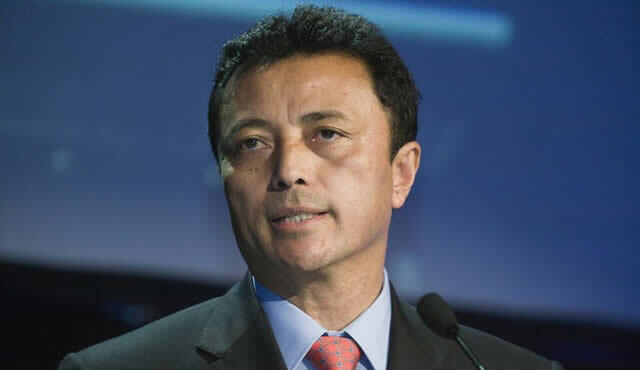 — Madagascar’s ex-president Marc Ravalomanana, who was placed under house arrest after returning from exile, will not be deported and will be asked to take part in national reconciliation efforts, the presidency said. “We are not a country that exiles or deports its own citizens. That’s not at all our mentality. He’s here and we hope that Mr Ravalomanana will actually participate in this (reconciliation) process,” said Henry Rabary-Njaka, chief of staff of the presidency. Earlier, Madagascar police used tear gas to break up a rally by supporters of the former president, who was ousted in a coup in 2009. Up to 300 people turned up for the banned protest in the capital Antananarivo, throwing stones at police cars and setting fire to cardboard boxes. One man had two fingers crushed while trying to move a huge stone to block a road. He was arrested by the police and taken to hospital. The police arrested two others, including a politician who addressed the gathering. Ravalomanana is effectively being held under house arrest in Antsiranana (Diego Suarez) in the north of the Indian Ocean island, with no means of communicating with the outside world. While he did not say when Ravalomanana would be released, Rabary-Njaka said the situation “will evolve very quickly”. The former head of state, who was sentenced in absentia to life imprisonment with hard labour, slipped back into Madagascar last Monday, five years after a military coup and two months of violent protests forced him to flee first to Swaziland and then to South Africa. On his return he was promptly arrested by a phalanx of heavily armed special forces, but not before telling supporters that he still held “lots of power” and that his presidential successor is “not the people’s choice”. The ousting and exile of Ravalomanana, and the fierce personal rivalry with his immediate successor Andry Rajoelina polarised the island nation, which is highly dependent on coffee, vanilla and other agricultural products. Madagascar’s current president, Hery Rajaonarimampianina, is a Rajoelina ally but the presidential chief of staff stressed that he and Ravalomanana were not “enemies”.